17th September 2014: Creative Media Production students from Worthing College visit Happy Valley Farm near ‘Slonk Hill’, the site of the Army Camp during the Great War. Happy Valley was specifically the hutments for the artillery soldiers. 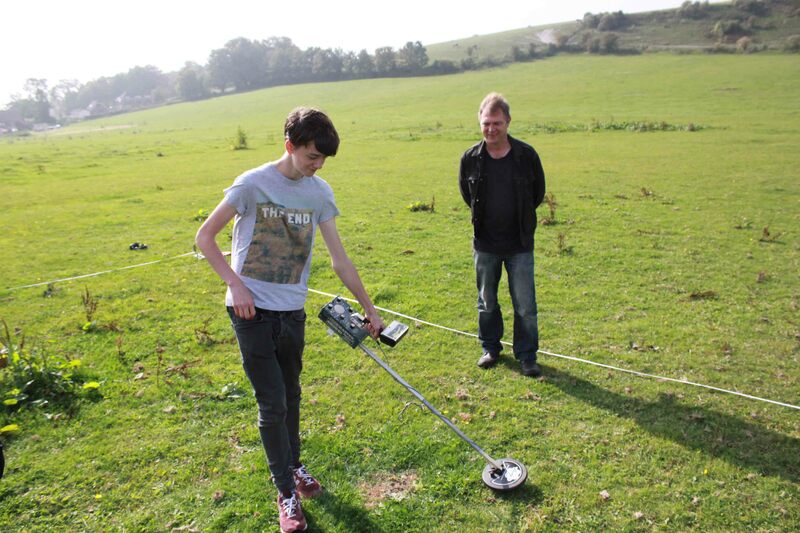 Justin Russell, from Archaeology south East was on hand with Luke Barber from the Sussex Archaeology Society to guide the students through the process of marking grids and sweeping the area with metal detectors. Justin and Luke are both experts in WWI related archeological study so it was very exciting to hear them speak about what we might find and identifying the metal that the students dug up! During the morning students found clinker from the stoves of the huts, construction materials such as nails and a window latch, quite a few .202 shells from target practice (both contemporary and possibly some from the Great War) and metal hoops from the rucksacks the soldiers wore. Most exciting was a ‘drill round’, found by Luke, which was a blank round used for practicing loading a gun, and a great coat button which was later identified as coming from the South African Army! Luke overseeing Jorge sweeping the area for artefacts. Brian Drury was also there, using his GPS device to note the exact location of finds and to try to fix the exact locations of the huts as shown on the maps from 1914. The morning was a great introduction to practical archaeology and a chance to experience the excitement of digging up artefacts from 100 years ago. Many thanks to the generosity Happy Valley Farm for allowing our students to wander all over their land digging holes. 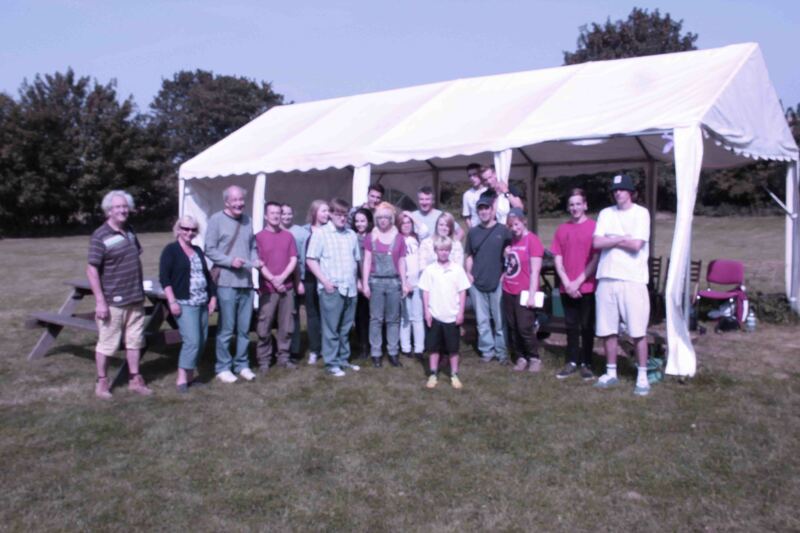 Justin, Luke, Hamish, Worthing college students and the family of Happy Valley Farm. This is so much fun. I love finding things that belonged to the past especially when it’s a historic event your exploring. I used to go metal detecting at our backyard and finding old bullets and coins.